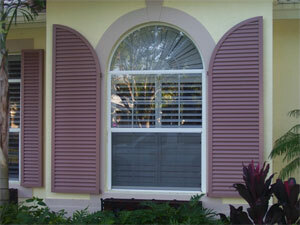 Our Colonial shutters continue to offer convenient storm protection with a distinct architectural flair. Nowadays you can expect these hurricane shutters to be constructed of heavy aluminum, making them extremely reliable and weather proof. 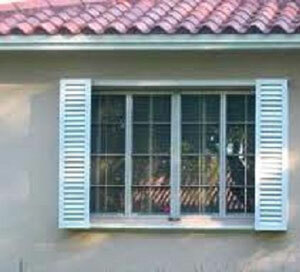 Professional installation of these storm shutters makes them a permanent and durable part of any house or building, providing protection for years to come. They are simple to maintain and easy to close.